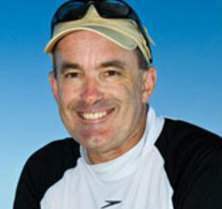 His interests in climate change has led to significant roles within the IPCC (coordinating lead author Chapter 30, “Open Oceans”) and other international organisations in his role as Deputy Director of the ARC Centre of Excellence for Coral Reef Studies, and as Coordinator for the Australasian Centre for Excellence and Chair of the Bleaching Working Group within the World Bank-Global Environment Facility Coral Reef Targeted Research Program. Community-level ecological responses of coral reef biota to mass coral bleaching events. Antioxidant plasticity and thermal sensitivity in four types of Symbiodinium sp. Coral reef sustainability through adaptation: glimmer of hope or persistent mirage? Coral reefs in the anthropocene: persistence or the end of the line? Dangerous shifts in ocean ecosystem function? A method for extracting a high-quality RNA from Symbiodinium sp. A World with Corals: What Will It Take? Coral Disease Diagnostics: What's between a Plague and a Band? Phototrophic microendoliths bloom during coral "white syndrome"
Variation in Coral Photosynthesis, Respiration and Growth Characteristics in Contrasting Light Microhabitats: An Analogue to Plants in Forest Gaps and Understoreys? Ecology - Is coral bleaching really adaptive? Thermal biology of coral reefs: will coral reefs survive global warming? Next generation satellite tools for understanding change in coral reef ecosystems due to multiple global and local stressors. Training workshop - Bleaching Working Group a Coral Reef Ecosystem Research and Management Course, Heron Island, 12 June - 1 July 2007. Solar radiation coral bleaching and climate change. Tracing the origins of stress in the symbionts of reef-building corals. The Structure and function of the host pigments of reef-building corals. The diversity of symbiotic dinoflagellates from Australian reef-building corals. The molecular mechanism of bleaching in reef-building corals. Coral responses to temperature, irradiance and acidification stress: linking physiology to satellite remote sensing. A method for mapping live coral cover using remote sensing.